Crumpet's Nail Tarts proudly brings you a NEW 31 Day Challenge. We will be starting on January 1st and posting every day throughout the month. If you'd like to join us, just click here. 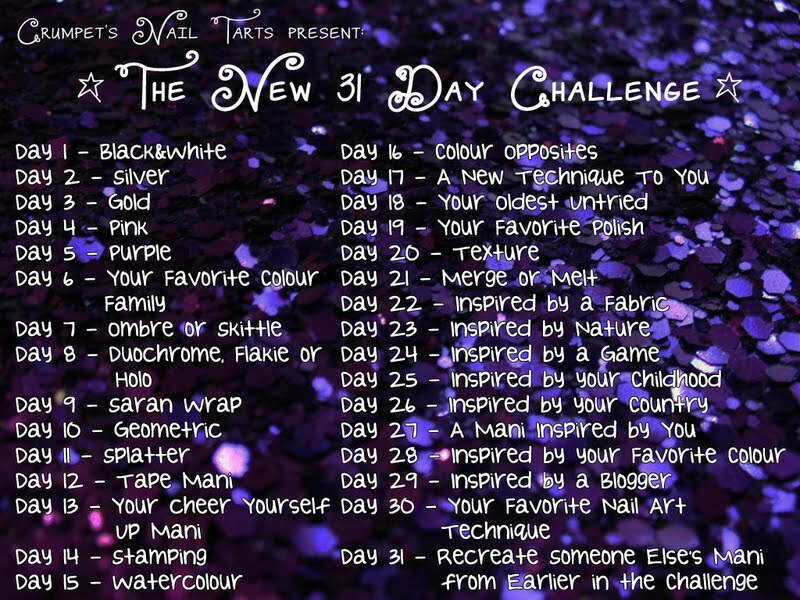 If you want to do this challenge, but at a different time, please ONLY use this graphic, and please make sure you credit Crumpet's Nail Tarts as the original source. Thank you.